Pastor Sebastien Kneipp (1821-1897) (the German priest who introduced hydrotherapy) said that "much of the women's troubles would be relieved, if they would use Yarrow from time to time". Although Yarrow is helpful in many diseases, it is considered primarily a women's medicinal plant. 1. Yarrow tea helps regulate the menstrual cycle. Young girls, who didn't start to menstruate, should drink a cup of Yarrow tea, on an empty stomach, before breakfast until the start of the menstruation. For girls with irregular menstruation, Yarrow tea will greatly help regulate the menstruation cycle. Yarrow has analgesic properties and may be used for dysmenorrhea (menstrual pain). Being a good haemostatic, Yarrow tea is indicated in menstrual bleeding or bleeding of the vaginal mucosa and hypermenorrhea, also known as menorrhagia (long or heavy menstrual cycle). Make a decoction with 2 tablespoons of this mixture. Boil the plants for 5 minutes in 0.5 l / 16.9 oz water. Drink the entire amount during the day. Pour a cup of boiling water over a teaspoon of herbs let steep for 7 minutes in covered pot. Drink 1 cup per day. Begin drinking the tea 3-4 days before menstruation occurs. You can sweeten the tea. Warning: too much tea will increase the bleeding. Do not drink more than 2 cups per day, or combine Yarrow with other herbs (Shepherd's Purse, Lady's mantle, Wormwood), so that Yarrow does not exceed 1/3 of the mixture. Yarrow tea is often used by women for fertility problems because it helps trigger the menstruation. Apigenin and Luteolin are 2 substances of Yarrow that improve the body's response to the action of hormones that trigger menstruation and amplify female characteristics. Take 3 teaspoons of freshly ground Yarow flowers powder a day, for 4 weeks, followed by another 2 weeks of rest. 3. Ovarian infections can also be treated with tea dranked daily and with vaginal washes. Leucorrhea and mycosis - drink 2 cups of Yarrow tea per day. Vaginal itching and burning sensations are relieved with Yarrow tea washes or sitz baths. 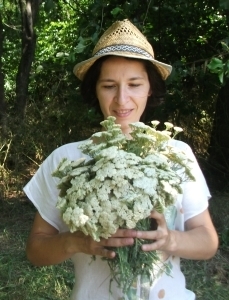 Vaginal mycosis, candidiasis and other infections of vaginal mucosa can be treated with Yarrow. Wash with Yarrow tea and drink 1 cup of tea per day for vaginal candidiasis. The antiseptic substances contained in the plant stop the proliferation of the fungus, reduce the inflammation and help restore the epithelium damaged by the infection. 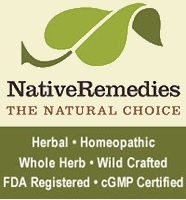 It is a gentle treatment that does not disrupt vaginal flora and is used to prevent and to combat small and medium intensity candidiasis. Treat Adnexitis (pelvian Inflammation with severe consequences: ectopic pregnancy, infertility) with Yarrow sitz baths. For cervix wounds use Yarrow poultices. Drink 1 cup of tea per day to prevent cervical cancer and uterine myomas (uterine fibroid tumors). Uterine prolapse (falling or sliding of the uterus from its normal position). Do Yarrow sitz baths for a long period and drink 4 cups of Lady's mantle tea during the day. Also massage the pelvic area with Shepherd's Purse tincture. 5. The tea relieves postmenopausal symptoms and is relaxing for women at menopause. Scald 1 teaspoon of Yarrow with 1 cup boiled water and let steep a few minutes. Grind the stems, flowers and leaves with an electric coffee grinder. Store the powder in hermetically sealed glass jars, in dark and cold places for a maximum of 2 weeks (because the volatile substances evaporate quickly). You can usually use 1 teaspoon of powder 4 times a day on an empty stomach. Soak 3-4 tablespoons of chopped herb in 2 cups of water for 8-10 hours, then strain and put the liquid aside. Boil the wet plant in 2 cups of water for 5 minutes. Let it cool and strain. Finally, mix the 2 extracts obtaining about 3-4 cups of combined infusion. Gather Yarrow flowers on a sunny day and put them in a bottle up to the neck without cramming them. Pour alcohol 30%-40% (from rye or fruits) and let soak for 14 days in a warm place (sun or near the stove). Heat 90 g / 3.17 oz unsalted butter or pork lard in a pot. Chop finely 15 g / 0.53 oz fresh Yarrow flowers and 15 g / 0.53 oz Raspberry leaves and put them in the pot. Let sizzle briefly in the butter, mix, then let cool. The next day heat gently the mix, squeeze through a gauze and place it in jars. Keep refrigerated! Soak 100 g / 3.5 oz Yarrow (whole plant) overnight in cold water. Boil the mix the next day and add cold water. Boil 2 l / 68 oz water and add a handful of plant. Allow to cool until it reaches a bearable temperature and use to wash the genital area. Yarrow tea is not recommended for pregnant women because it can lead to an underweight baby. In people with allergic sensitivity to plants in the Asteraceae family, Yarrow can cause contact dermatitis and respiratory catarrh. Studies conducted on animals found that high doses of Yarrow enhance the effect of sedative and antihypertensive drugs and can also counteract the effects of anticoagulants. Very high doses of Yarrow (10-20 g / 0.35-0.7 oz daily) for long periods should be avoided. Order organic Yarrow from MountainRoseHerbs.